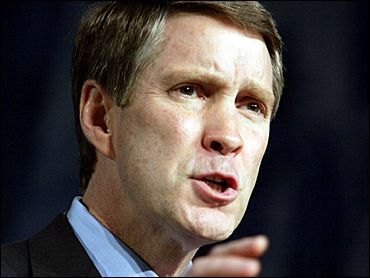 Senate Majority Leader Bill Frist said Sunday he is prepared to strip Democrats of their ability to filibuster if they try to stall Samuel Alito's nomination to the Supreme Court. "The answer is yes," Frist said when asked if he would act to change Senate procedures to restrict a Democratic filibuster. "Supreme Court justice nominees deserve an up-or-down vote, and it would be absolutely wrong to deny him that." Democrats immediately called Frist's words unhelpful and potentially incendiary. They said Senate Democrats are waiting for the Judiciary Committee to act on Alito's nomination before they decide what they may do. "Sen. Frist has thrown down the gauntlet at a time when the country least needs it," said New York Sen. Chuck Schumer, a Democratic member of the Judiciary Committee. "The American people know that checks and balances are an integral part of our government." In recent weeks, Senate Democrats have questioned whether Alito, a federal appeals court judge, has the proper judicial temperament and ideology to replace retiring Justice Sandra Day O'Connor. Several Democrats have said that Alito's views on issues such as voting rights and abortion could provoke a filibuster unless he allays their concerns about his commitment to civil rights. Alito's confirmation hearings begin Jan. 9 before the committee. Frist, a Republican, said Alito is qualified for the high court, noting that Alito was confirmed by the Senate for the 3rd U.S. Circuit Court of Appeals. "Sam Alito, who has a modest judicial temperament ... is someone who deserves advice and consent by the Senate," Frist told "Fox News Sunday." Jim Manley, spokesman for Senate Minority Leader Harry Reid, a Democrat, said in an interview that senators should be debating Alito's qualifications on their merits rather than speculating about the possibility of a filibuster. But, he added, once the committee acts, "all procedural options are on the table. But we are months away from facing these kinds of decisions." The filibuster is a parliamentary tactic whereby senators use their right to virtually unlimited debate to block measures, legislation or nominations. It takes 60 votes to stop a filibuster. Passing a bill or confirming a nominee requires a simple majority — 51 senators if all 100 senators are present. The vice president can break 50-50 ties. Under Frist's scenario, the Republicans would seek a parliamentary ruling that declares filibusters are not permitted against judicial nominees. That ruling ultimately would go before the full Senate for a vote, with a simple majority required to prevail. Republicans hold 55 seats. If that plays out, it then would take a majority of senators present to vote to approve a nominee such as Alito. Such a move carries great risk. Democrats have threatened to retaliate with a fight that could snarl Senate business for months. Also, it could backfire on Republicans if they were to lose majority control of the chamber.